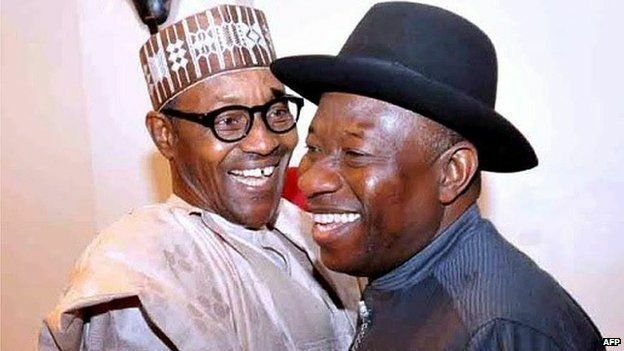 The race to be President of Nigeria in 2019 has already started – well, behind the scenes. Will it be the incumbent (- if he decides to run again!) or somebody else? The Bible lists Gluttony, Greed, Pride, Envy, Lust, Sloth and Wrath as the 7 Deadly Sins to avoid during our time in life and other religions have similar requirements. As long as there is still Nigeria there will always be the debacle of the North-South divide. Like two jealous lovers you can’t do one thing for one region without doing something equal for the other. Over the years it’s become very petty and silly: the Presidency is rotated so that if you have a Northern President you must have a Southern Vice-President and in the next government it must be rotated to feature a Southerner as President and Northerner as Vice-President – whatever happened to electing the right person with the right qualifications to do the job irregardless of what region they’re from? Again the Northern and Southern elders will dictate, to the President, on who gets the most ministers, budget allocations and federal installations. There’s nothing wrong in wanting the best for your region but things should be allocated on merit : for instance why appoint someone to head a ministry they’re not qualified to head because you have to bow to the whims of either a North or South elder or the quota system? Or why situate a nuclear research facility, for instance, in a region where the people are only interested in goatherding? To summarize the country cannot be ruled effectively by bowing to the demands of the North- Southerner gangs all the time. Just like the North-South palaver, religion plays a key part in the running of the nation and should be steered away from: politics and religion don’t mix but funny enough, in Nigeria, they do. If you have a Muslim President then the Vice-President has to be a Christian and if the President is a Christian then the Vice President, without a doubt, will be a Muslim- Nonsense! Another outdated pro rata system that should be consigned to history. Again this prevents the right candidate from getting the job – and getting the job done! The Presidents hands will also become tied because of religion: a Muslim President making policies that will affect Christians will face a backlash and if a Christian President does anything that will upset the Muslims he’ll be in trouble. No politician’s hands should be tied because of religion: policies should be fair and applicable to all irrespective of their religious affiliations: for instance some protestant churches are getting out of control in the country and the Muslim President and government is powerless to say or do anything for fear of upsetting the Muslim-Christian code. The mere fact the President has the sole ATM card to the nations’ bank account is not an excuse to loot it dry – thou shall not steal! A President is the custodian of these finances and must ensure that they are distributed fairly – and honestly – to the various apparatus of government that require the funds and not divert them to private bank accounts in Switzerland or the Cayman Islands! Even though some believe ‘corruption is not a crime’ it is as pilfered funds causes untold suffering for the masses who are supposed to be the end recipients. Therefore to re-iterate again – thou shall not steal (- or let those beneath you steal, not even 10 %!). Every President does it from Nigeria to America or Croatia to Sudan: every incumbent will blame his/her predecessor for everything going wrong in an attempt to cover their own backsides! If a President is going to keep on passing the buck then he or she is in the wrong job! As a President you’re elected to fix things and not spend your entire tenure blaming your predecessor! The buck stops with the President! What’s the point in having a surgeon come in to operate on a patient but can’t (- or won’t!) because he’s too busy criticizing the last doctors work? Operate and fix the patient first, for that’s what you’re paid to do, and moan later! For any President to be elected, anywhere in the world, he or she will need the support of political godfathers, cronies, hanger-ons etc who’ll lobby behind the scenes to get him into office. Once in office they’ll call in the favour and start making outrageous demands of the President: they want to be first in line for lucrative contracts or ministerial appointments. Any President should learn from Donald Trump – use them and dump them before they become a nuisance! Every President should learn to control his cronies: not favour one over the other or let them control him. Tribalism is way up there with religion and the North-South palaver but on a different scale. A President from the South, for instance, might be a Christian or a Muslim but his ethnicity plays a major rule: is he Yoruba or Igbo? If he’s Yoruba what part of Yoruba land is he from? Just like with the North-South palaver his policies will be seen to be influenced from what tribe he’s from: a Yoruba President can’t pass certain laws that will affect the Igbos or Hausas because he’ll be accused of tribalism. ( even his fellow Yoruba people from other sub-tribes will accuse him of tribalism!) As a result some tribes become a law unto themselves as the President will be scared of being accused of tribalism. A President can’t be indecisive hoping a problem or situation will go away or that people will forget. Take the Chibok girls’ kidnapping fiasco for instance, if the then President had been more decisive those girls could have been home within days, not weeks, not months and most certainly not years! When action needs to be taken a President can’t afford to be indecisive whether that involves removing a minster, clamping down on terrorists’ or ordering military action against subversives. No problem or situation will ever go away unless it’s dealt with swiftly. So any President who thinks such will go away is in for a shock. So there’s my version of the 7 Deadly Sins a Nigerian President should avoid, of course there are things that didn’t make the list like complacency, nepotism, buffoonery and quite a few others…but we’ll leave that to later!